There is a small bug in version 1.2 of Chippy where sounds are sometimes automatically switched to off! Luckily, there is an easy fix and an update on the way. Whilst playing Chippy, press PAUSE and toggle MUSIC and EFFECTS from OFF to ON. What are Fish & Chips? Fish & Chips are a traditional British food served from outlets much like the one in Chippy. The closest thing to Chips in America are Fries, but Chips are usually thicker like wedges. 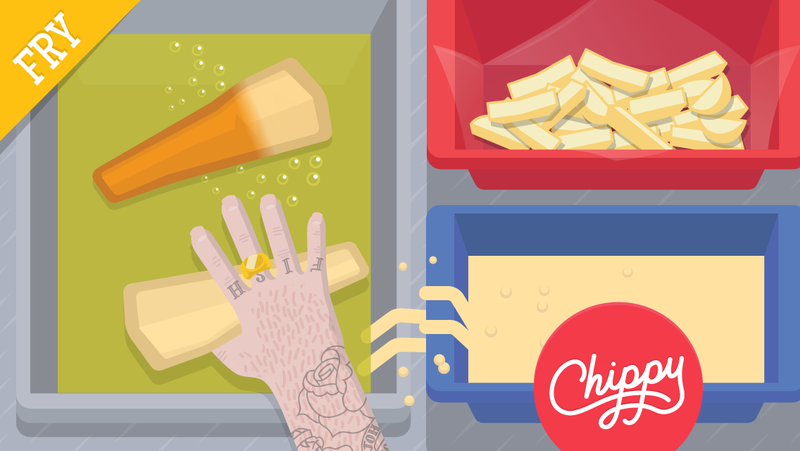 Australia, South Africa & parts of Europe all have their own versions of the classic Chip. 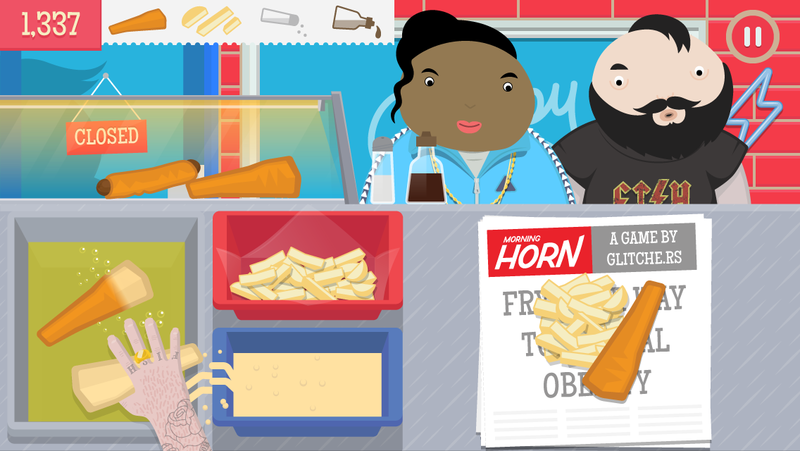 We take your privacy seriously, there are NO adverts inside Chippy and NO in-app purchases in Chippy. Are you adding more food types or levels? Yes! We'll be adding more food types even a few regional favourites and also new levels. 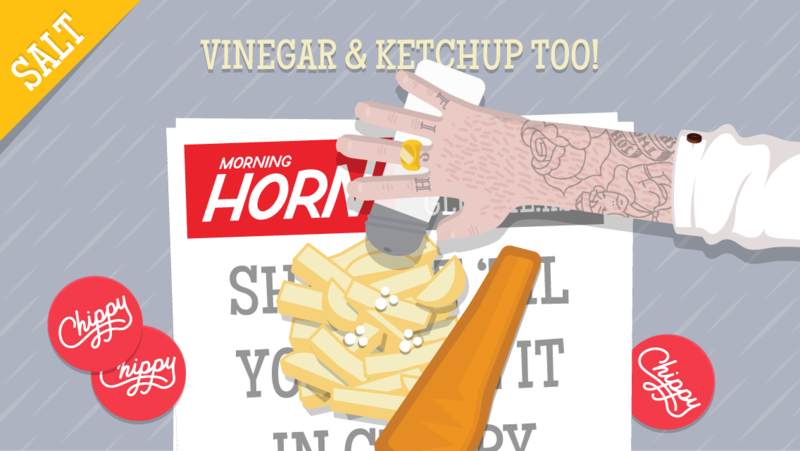 The Morning Horn is our fictional newspaper for delivering dynamic news directly into the game for each level. Tweet @MorningHornNews to get your headlines into Chippy! 'Battered Dreams' and the b-side 'Tartare Troubles' produced by Tim Garratt are available from Bandcamp for some loose change.